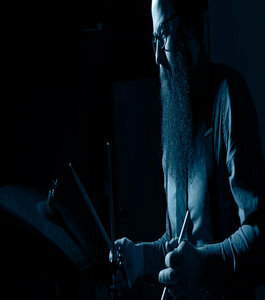 Dylan Jack is a percussionist and composer participating in multiple genres within the Boston music scene. As a performer, Jack divides his attention between band appearances, chamber music projects, and collaborations with living composers and musicians in multicultural projects focusing on original and creative music. In 2016, Jack launched the Dylan Jack Quartet, an ensemble focusing on combining intricately composed segments that utilize odd meters and phrasing with free improvisations. In September of 2017, they released their first album, Diagrams, which received favorable reviews from the jazz press. Jack received his Bachelors degree in Percussion Performance from the McNally Smith College of Music in Saint Paul, Minnesota, and holds a Masters of Music in Modern American Music from the Longy School of Music of Bard College.